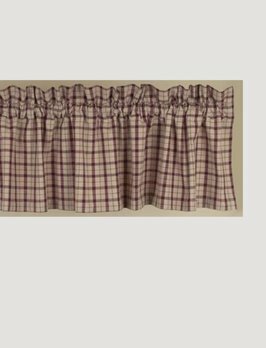 Valances are designed to be gathered approximately one and a half times the width of your window. 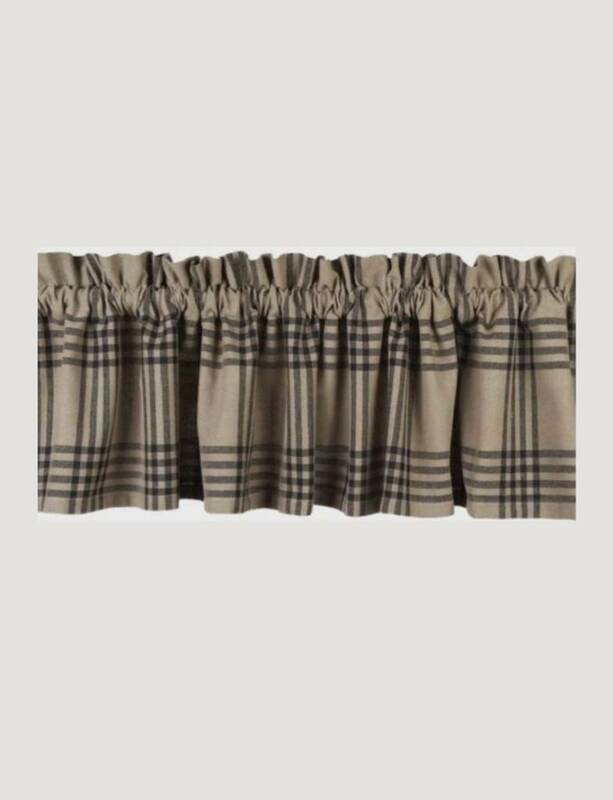 Use multiple valances for wider windows. 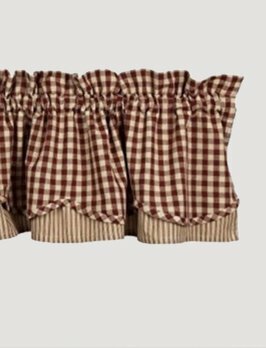 Salem Check Barn Red Valance is a classic plaid that recreates an all-time favorite staple at any room. 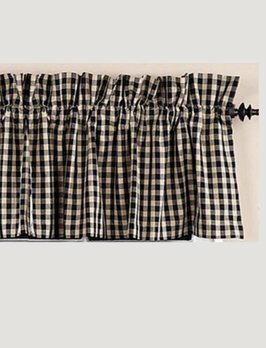 Handcrafted with care, this valance is made with high quality thick 100% cotton fabric. 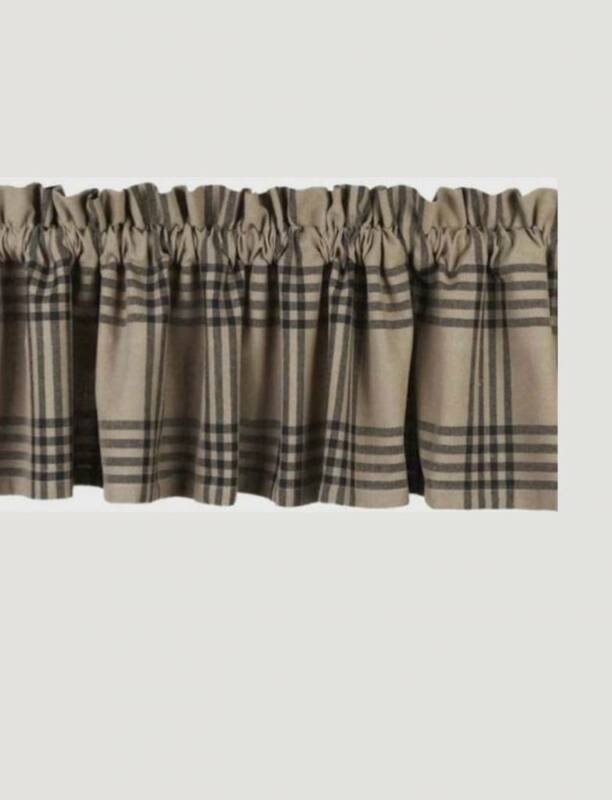 Perfect primitive country curtains!